Finela Moore came to New Zealand from South Africa in 2001. She lives in Mount Maunganui, a delightful beach town on the Bay of Penty. She has three university degrees, one in the arts and two in social science. 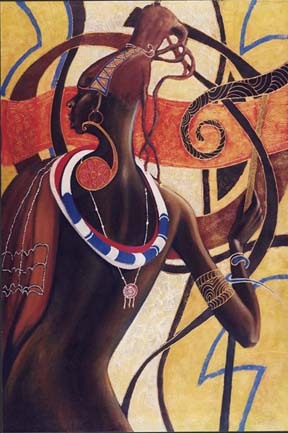 Influenced by her African roots, she has produced a wide body of work characterised by diversity in subject and style, no less the Pacific and Austrolasian arts. Child of AfricaThe youngest of three, Finela Moore grew up in Africa. 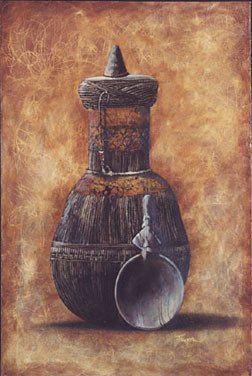 She showed talent at a young age and won many school and youth art competitions. She began to sell work professionally in about 1980. 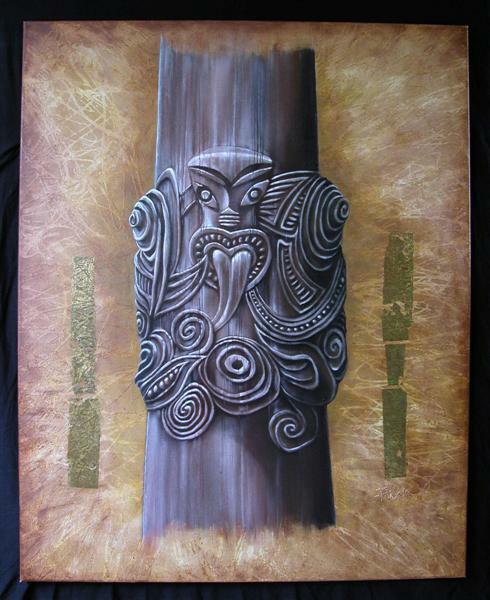 Her work is influenced both by the rich banquet of African art, and the Pacific Islands, including the Maori style in New Zealand. She attributes her success to the love and encouragement of key women in her life, beginning with her mother and grandmother. Journey of tears She lost her mother at the age of 16 and her brother died tragically not long after that. Changed circumstances, her father’s remarriage and other issues led to Finela having to leave home and find her own way. The story of recoveryMoore’s work reflects her life, her struggles and triumphs. The journey left her with depth & strength and a commitment to sharing these things through her art and in other ways. Though still influenced by her life in Africa, Moore now draws inspiration from her new life in New Zealand, her children and her hopes and dreams for the future. Her first appearance on the New Zealand artscape came with an invite to exhibit at Bethlehem college, a prestigeous local art event in the Tauranga area. 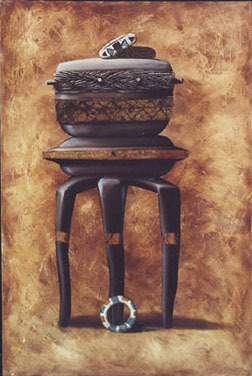 Her work sold well through Toto, Zohar, the Art Boutique and Harrisons gallery. She was involved in the Garden and Arts Fest & Mazda art exhibition at the Hilton in Auckland. She often participates in various charity auctions that are put on throughout the yearly calendar in the Tauranga area. Her work sells regularly to an increasingly admiring audience both in New Zealand and further afield. Regular galleries and art outlets are to be seen on the contacts page of this site. She continues to go from strength to strength in life as in her artistic achievements. Making a name for oneself in a new country takes time, and Moore’s work has steadily been accepted and appreciated more and more by the local public in the Tauranga and Mount Maunganui area, and increasingly in wider New Zealand. A project, “The Doors of Hope”, was introduced to Tauranga in March 2006, by Tracey Tume of ImageNation. Local artists were invited to paint on doors which were then displayed along the strand in Tauranga. The event culminated in an auction and prize giving ceremony in which Finela Moore’s door achieved both the prize of supreme award and the highest price for the charity her door was to benefit, the Tauranga Women’s Refuge. The local judges were Richard Arlidge and Grant Thompson. Her door was bought by a collector in Dubai. Moore showed work on the 2006, 2007 & 2008 Mazda Art Show at the Hilton Hotel in Auckland. It sold well and was well received by the Auckland art scene. New Zealand affordable art trust show in Wellington, 2006. Moore also participated in the Wellington art exhibition run by the Affordable Art Trust of New Zealand, which showcases emerging artists at affordable prices. 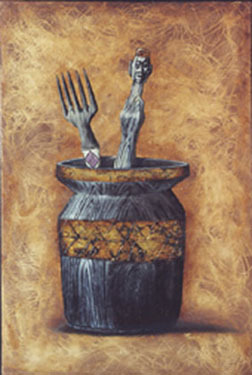 Although Finela Moore’s work is varied in style and subject, it is always recognisable by it’s unique characteristics. These include: her enjoyment of textures and willingness to experiment with a mix of media: A devotion to “the essential paradox of life and everything”, with a careful balance of chaos and order, design and happenstance; A lustrous, rich and meticulous finish, weather the work is a simple drawing, a traditional oil or acrylic, or even a constellation including driftwood or shaped metal . She likes to make artistic statements that are bold and accessible, yet subtle and understated. She imbues simple subjects with a life and vitality all of their own, each piece of work reflecting her own personal journey, mission and devotion to good art. She usually works in mixed media, including decoupage, texture compounds and oil and acrylic paints. 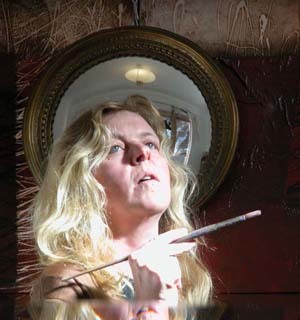 She often includes objects, string, coins or other trinkets in her artworks, and frequently uses gold leaf. She intends her art to be more than just a visual experience, and likes people to enjoy the textural surface of the artworks.